Founded in 1992, Musette is a luxury fashion brand which has a portfolio of shoes for men and women, handbags and leather accessories. All products are made in Europe. 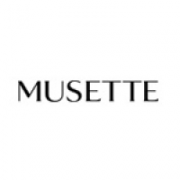 Musette style expresses new forms of elegance, presenting itself as a modern classicism, based on superior creativity .